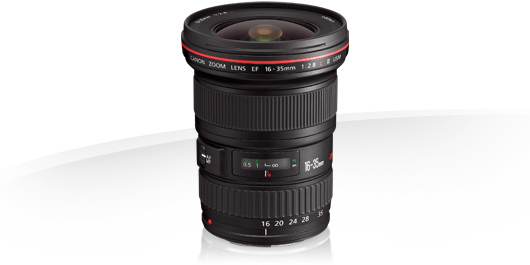 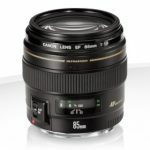 he EF 16-35mm f/2.8L II USM Lens from Canon is a high performance, water-resistant, ultra wide-angle L-series zoom lens. 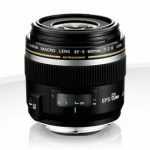 An f/2.8 maximum aperture is effective in low light situations and offers shallow depth of field focus control. 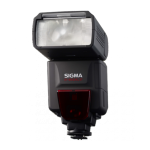 The optical design has been improved to offer better edge-to-edge image quality. 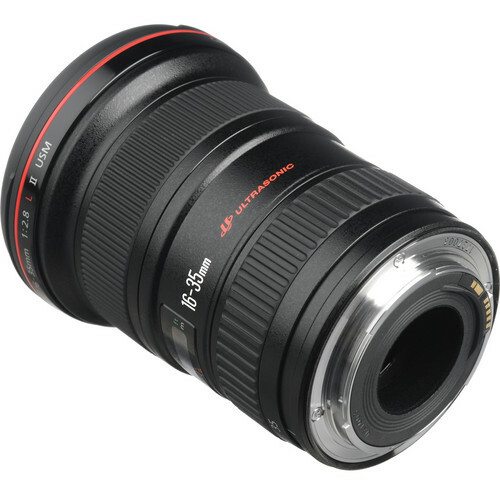 In addition, it features 3 high-precision aspherical lens elements, each of a different type: ground, replica and GMo. 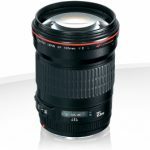 Its ultrasonic motor (USM) and improved AF algorithms will help the lens to focus faster and quieter. 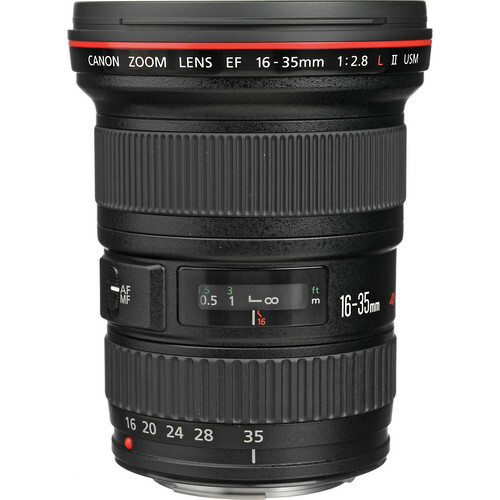 Precise manual focus is supported even in One Shot AF mode and a truly round aperture results in pleasing background blur.